Owner and Principle Podiatrist, B.App.Sci. (Pod), M.A.Pod.A. An Accredited Podiatrist with almost 20 years of clinical experience in all aspects of podiatry including public and private sector; Paul has a holistic approach to your foot care needs. In his spare time, Paul enjoys running, having completed over 20 half marathons. 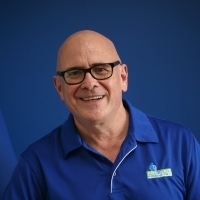 Growing up in Bundaberg, Paul has a genuine commitment to giving back to the Bundaberg community, through sponsorship of local sporting groups including netball and cricket in addition to Guide Dogs Qld, PCYC and other children’s charity events. Co-Director and Principle Podiatrist, B.Hlth.Sci. (Pod), Grad.Cert.Therapeutics, M.A.Pod.A. Alex has a commitment to public health including prevention, education, screening at risk populations, empowering people to make good health decisions and reducing the burden of chronic disease. In addition to clinical expertise, Alex is a Nordic Walking enthusiast and has an interest in cycling related foot problems. Gina graduated from QUT in 2011 when she moved from Rockhampton to Bundaberg. She is a member of the APodA, Sports Medicine Australia and Diabetes Australia. Her key areas of interest are wound management, in-grown toenail management, diabetic care and biomechanics. She has a strong focus on empowering patients with the relevant knowledge to get the best outcomes. 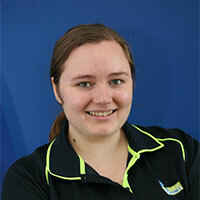 QUT graduate Sarah enjoys all aspects of podiatry, especially dermatology and diabetes related foot care. Sarah enjoys reading and hiking and enjoys really good coffee. Maddy joins the team from LaTrobe University in Victoria. Maddy is enthusiastic and enjoys the challenges of biomechanics and sports related injuries. Growing up on the Murray River, Maddy enjoys travelling and is looking forward to enjoying a beach lifestyle and learning to surf. Our administrative team of Graeme, Ros, Danita, Mikayla, Kaye, Natalie and Donna combine a wealth of experience in the health field to deliver excellent customer service and to assist you with your booking and other enquiries. Graeme has an MBA and brings with him 10 years of Management experience in Health Industry. His focus is on ensuring the entire team has the systems, information and equipment they need to provide an efficient, safe and customer focused service that exceeds expectation. Danita joined our team in 2013 and provides excellent customer service with grace and dignity. Danita also brings her years of logistical experience to the team, helping the clinic run efficiently and smoothly. 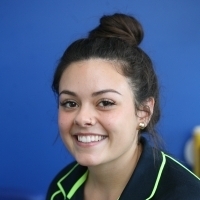 The youngest member of our team, Mikaela is our pocket rocket and expertly juggles the needs of patients and podiatrists alike. Mikaela is friendly, dynamic and enjoys looking after our clients. Kaye has spent years in management and customer support services and brings this experience to our team. Kaye is the ultimate team player, an accomplished sportswoman and is a valuable addition to our team. Communications Officer and a part of the Hinkler Podiatry team since its inception, Ros continues to play a vital role in the daily operation of the clinic. Natalie joined the team in 2014 and is responsible for data entry and infection control procedures. 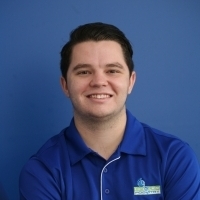 Jayden joined the Hinkler Podiatry team in early 2018 and has quickly embraced the practice’s culture of providing excellent customer service. He is in his first year at CQU studying to be a schoolteacher and confidently manages his work and study obligations. Donna brings to the team extensive experience in the health and fitness industry as well as a strong background in administration. Donna has energy, drive and is committed to helping her community.